Spend the night or vacation in B& B at Calpe Costa Blanca Spain, zoover award winner 2010, 2011, 2012, 2013 and 2014. Bed and breakfast Casa sardonyx, your holiday destination on a breathtaking spot on 800 meters of the Mediterranean sea and 1500 meters of the beautiful boulevards and sandbeaches. Therefore the ideal spot for sun, sea and lovers of beaches. Calpe is of origin a fisherman village and lie in the Costa Blanca, 20 kilometres at north of Benidorm between the sociable places Altea and Moraira. The Penon the Ifach is famous in the Costa Blanca. This rock in Calpe rises from the Mediterranean sea and is 332 meters high. It is certainly worth to climb this rock. On 800 meters there are numerous practise water activities such as fish, dive, surf, catamaran sails, kajakken etc. Calpe the ideal spot for cyclists or mountainbikers who want go during the winter months on bicycle training or bicycle training period. 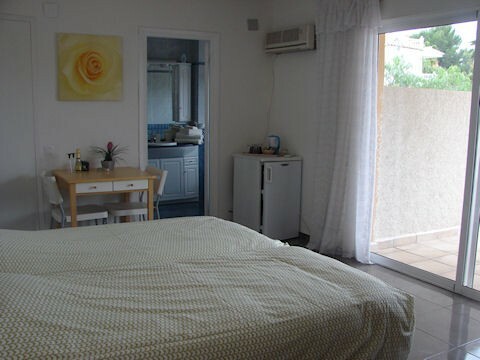 The bed and breakfast have a lovely garden with several places, a generous swimming pool and beds to lie down. The five modern apartments have tastefully arranged. One suite is wheelchair friendly. All apartments have their own entrance, bathroom provide with a shower and toilet. Also you find a water boiler in each apartment. We serve the breakfast on our sunny terrace. For entertainment during your stay you can use of the swimming pool and our fitnees room with 2 spinningbikes, crosstrainer and a Wondercore !!. Health and beauty stand at our high summoned. We can offer you an biofeedback treatment. You can find us on facebook B&B casa sardonyx. All 5 appartments have their own bathroom with a shower and toilet. 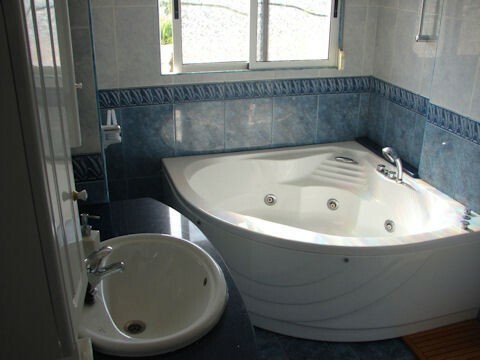 Appartment 3 is a bit bigger and more luxe and is provided with a bathroom with a whirlpool. Bikes, push-bikes, mountainbikes, scooter rent we can arrange that for you. No experiences yet with Casa Sardonyx. Be the first! Did you stay in Casa Sardonyx? Let us know what you thought about it and help others to make the right choice! * I confirm having stayed in Casa Sardonyx. 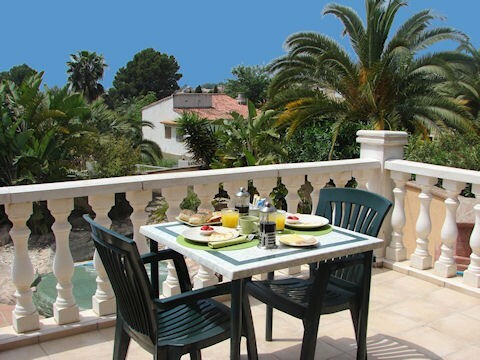 Find other bed & breakfasts in Calpe or all bed & breakfasts in Valencian Community.